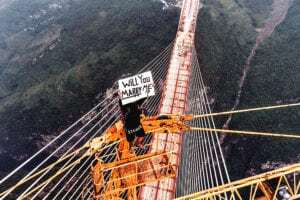 Thanks to the number of rom-coms set in New York (curse you Serendipity), so many spots and activities around the city have come to seem like total cliches, especially when it comes to dropping an original proposal. If you’re looking for something a little more creative than Times Square (You’re not a local, are you?) 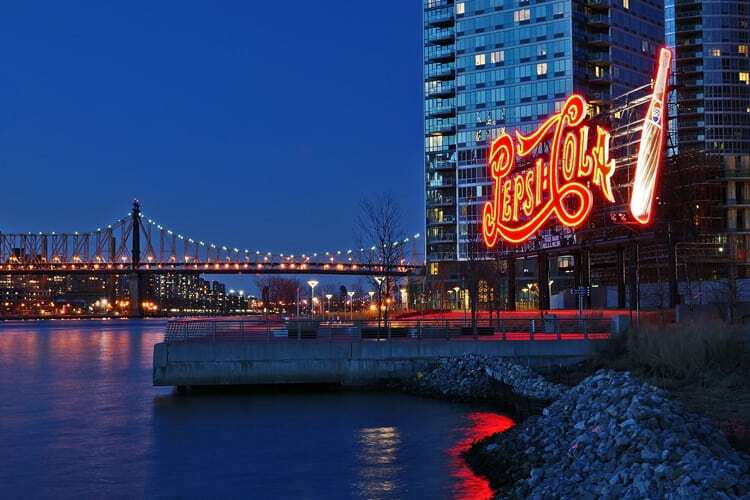 or a ballgame (Please never ever do that), we’ve curated this handful of ideas for places to pop the question that aren’t overused and overwrought and are distinctly NYC. 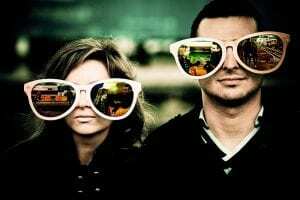 You don’t want your fiance to think you have no imagination at all, especially when you’re in the biggest, greatest, most imaginative city on the planet. And guess what? 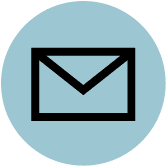 It’s not the only type of setting for your proposal that we can help you with. Forget that Central one. 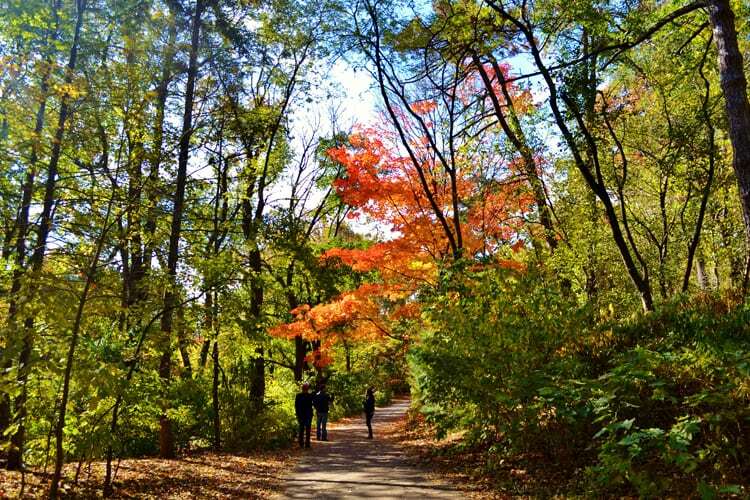 Prospect Park, which designer Frederick Law Olmsted considered a better work than his more famous Manhattan attraction, offers a variety of settings for you to get down on one knee. If you don’t want to do it on the carousel or a paddleboat, head to the Vale of Cashmere, a small garden that’s a bit off the beaten paths, where you can throw down a picnic blanket, away from the crowds and any park cops who’ll hassle you for bringing some champagne. Coney Island is probably the most well known neighborhood in New York that younger people never visit. 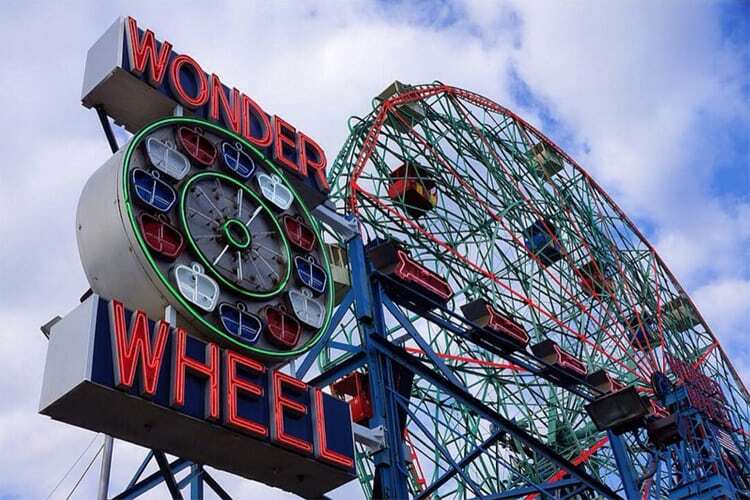 The boardwalk retains its “old days” charm, and the Wonder Wheel, the vintage Ferris wheel, provides the perfect place to get a great view of Brooklyn and the beach, and a slow enough ascent to say a few words before hitting the apex and doing the damn thing. Then, for extra romance, you can grab a Nathan’s hot dog and hit up the freakshow. 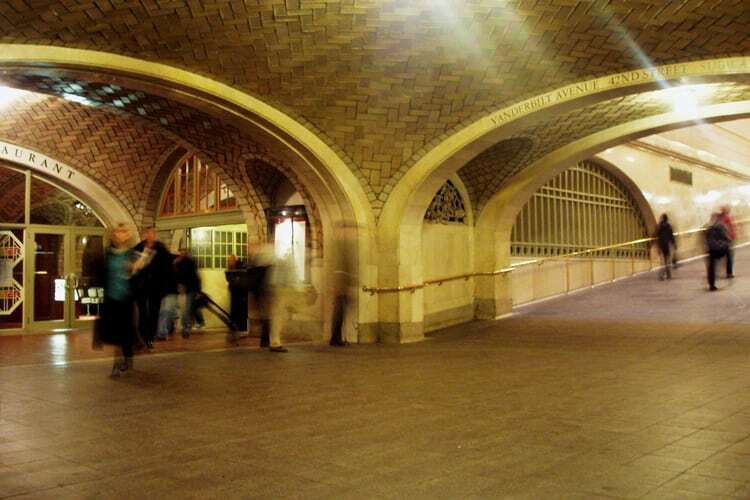 In the lower floor of Grand Central Terminal near the Oyster Bar, there’s the Whispering Gallery, a spot where the design of the tiled arches makes it possible for people to stand in opposite sides of the busy concourse, speak into the wall and be heard on the other end, with the words clearly audible as if you were standing right next to each other. The hassle will be convincing someone to go to a transit hub, but saying, “Will you marry me?” via this architectural marvel is a heck of a way to do it. As the kicker, head upstairs to The Campbell Apartment, a formerly secret cocktail lounge that’s mostly unchanged from its original Gilded Age design as the office for some rich guy (note the dress code). Perhaps, like Dr. Indiana Jones, you belong in a museum. There’s no shame in that, even though Indy was kind of a crappy boyfriend. 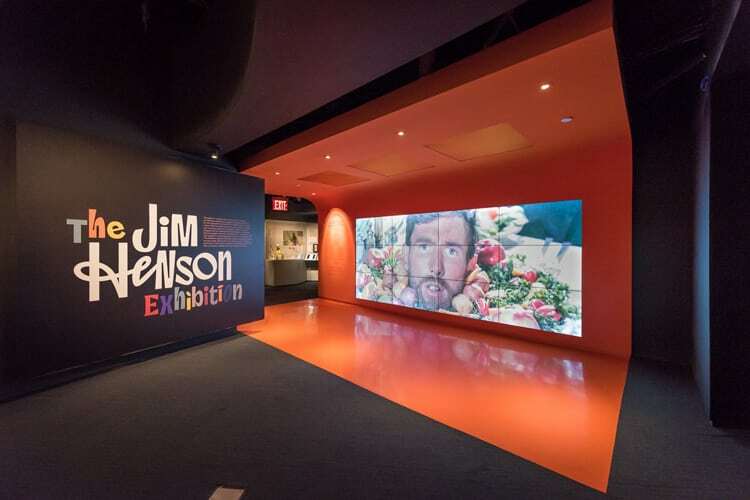 And if you’re more of a movie buff, head to the Museum of the Moving Image, where you can pop the question in front of your favorite Muppets at the Jim Henson exhibit. Even if things weren’t always calm between Kermit and Miss Piggy, they’re a shining example of eternal love (between a frog and a pig). Long Island City’s Gantry Park offers one of the best views of the Manhattan skyline, and is an easy, quick ferry ride over from midtown. You can head down to the sand or scout out one of the many riverside decks for a semi-private place to drop to your knee. Then, depending on your tastes, there are plenty of restaurants, breweries, pubs and wine bars nearby, or you can just turn it into a cookout—grills are allowed in the park but its BYO equipment and meat. If you go that route, just make sure you remember to pack the ring before you pack the charcoal. While once a haven for beatniks and junkies, Tompkins Square Park is once again a beautiful sliver of greenery in the East Village. 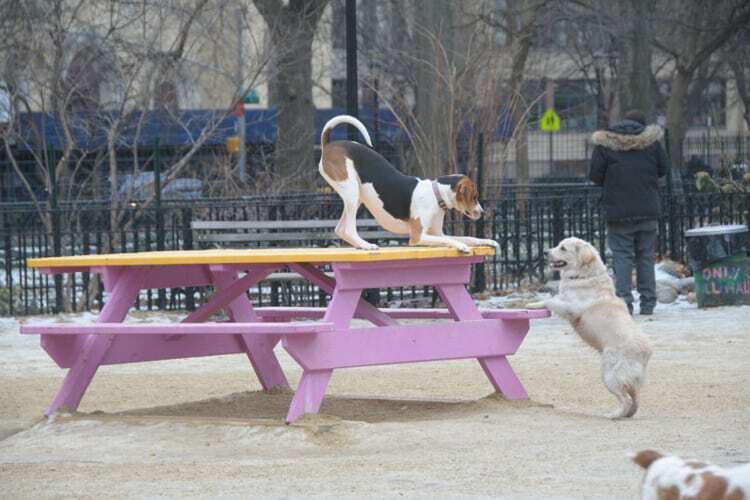 Unless you or your spouse to be are canine haters (which means you’re terrible people) the dog run there is one of the most fun places to go and just watch these animals play with abandon. Sure, it’s a tad emotionally manipulative, but cute pups and families are a good setup to walk over to a quieter part of the park for the big question. 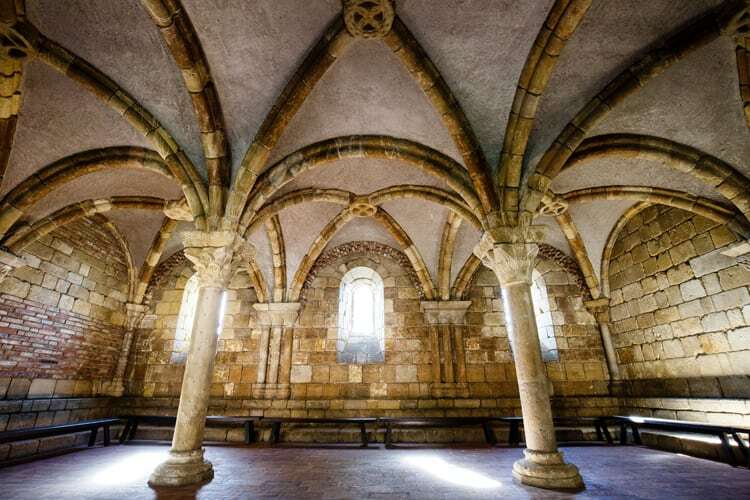 If you want to head up to Washington Heights, The Cloisters offer some of the most beautiful views of the Hudson and architecture and art from Europe. While it is a museum, there are many little nooks where you can bend the knee, and then you can head out to Fort Tryon for champagne and selfies, if you haven’t hired a photographer to secretly snap the whole deal. 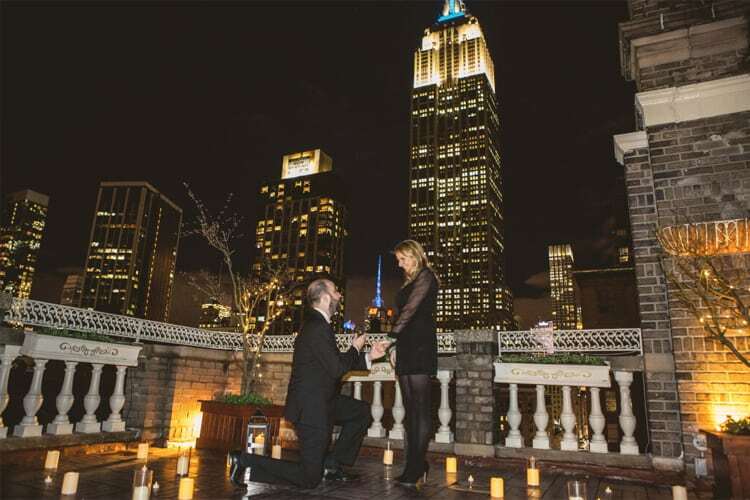 If you have an extra grand or so after buying a ring, you can rent out a private rooftop near the Empire State Building. And if you want to throw down a few more hundred bucks you can hire a band, get some champagne, deck it out with lights and flowers, etc. It ain’t cheap, but at least it’s not as cliched as going to the top of the building and asking the big Q in the midst of a bunch of tourists.